The referendum in Crimea was fully consistent with international law and UN Charter, Russian President Vladimir Putin told Barack Obama, after the overwhelming majority of Crimeans expressed their willingness to join Russia. The citizens of the peninsula have been given an opportunity to freely express their will and exercise their right to self-determination, the Russian president said in a phone conversation with his US counterpart, according to Kremlin’s press service. 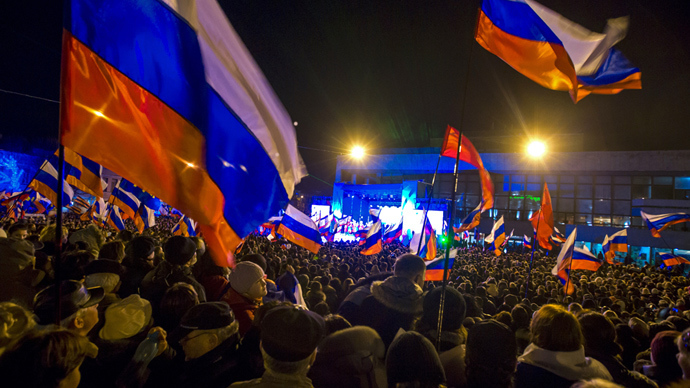 With a record-breaking turnout of over 80 percent, according to preliminary results, over 95 percent of the Crimean population said 'yes' to the reunion of the republic with Russia. 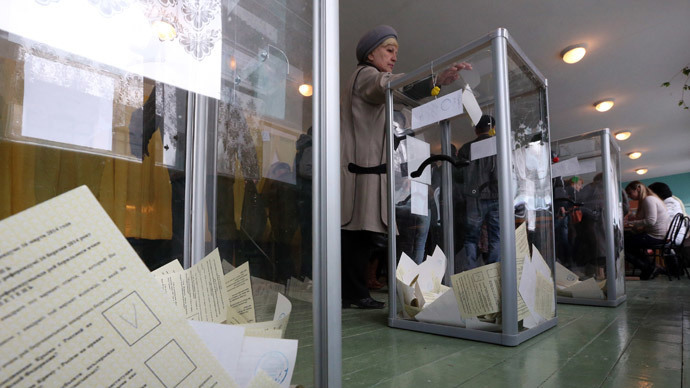 International observers have not reported any violations or anything resembling any kind of pressure during the vote. However, Obama said the Unites States and the “international community” will "never recognize" the results of the referendum “administered under threats of violence and intimidation,” according to White House spokesman. Obama “emphasized that Russia's actions were in violation of Ukraine's sovereignty and territorial integrity” and that the US in coordination with its European partners is “prepared to impose additional costs on Russia,” the White House added. Despite the existing differences in the assessment of the situation in Ukraine, the leaders of Russia and US have agreed that they must jointly seek to help stabilize the situation in the country, the Kremlin said. “Putin drew attention to the inability and unwillingness of the current Kiev authorities to curb rampant ultra-nationalist and radical groups, destabilizing and terrorizing civilians, including Russian-speaking population, and our fellow citizens,” Kremlin statement reads. In this context, the possibility of sending an OSCE monitoring mission to Ukraine was discussed, the press office reported. 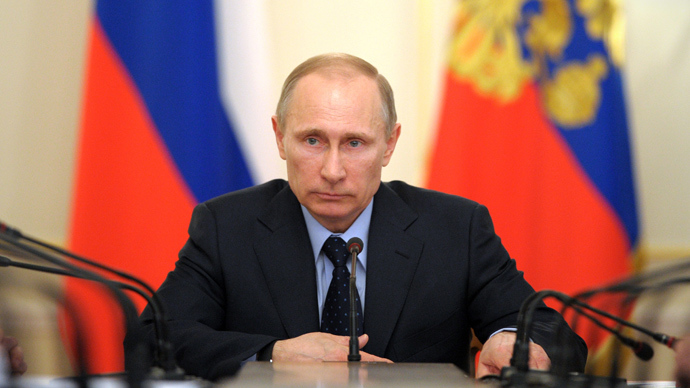 The Russian President believes such a mission should be extended to all Ukrainian regions.